A good green shampoo is hard to find, and Clean Shampoo delivers. I tried the original shampoo quite a long time ago, but this new product feels like it has more slip than the original. Most green shampoos can be too creamy, but Clean Shampoo is a clear gel that gently cleanses the hair without weighing it down. The amber rose scent is soft, pleasant, and inoffensive. The shampoo foams minimally, but it has a nice slip to it that makes it easy to spread and rinse. Overall, it’s a great option that will suit most hair types. It contains 70% certified organic ingredients, and like most green shampoos, it’s free from questionable ingredients like sulfates, silicones and petroleum. Clean Conditioner feels thick and creamy, and it deeply nourishes the hair. A number of green conditioners (including Tabitha’s original formula) feel a little too thin, but this has a hair masque-like texture that deeply nourishes the hair. Despite being super nourishing, it doesn’t weigh down the hair or make it feel coated. My hair is shinier and more manageable whenever I use it. It pairs well with the shampoo. I don’t use hair oils all that often, so I’ve only used the Scented Hair Oil a couple of times since I received it. It smells lovely and can either be used as a pre-shampoo treatment or styling product. Even though it’s very light, I find that it relaxes my short hair a little too much, but longer hair types will most likely love it! Overall, I’d highly urge you to get this Beauty Heroes box before the 20 February so you can get all three products for a fraction of the original RRP (around $40 instead of $122). Note: The products were review samples, but all views are entirely my own. 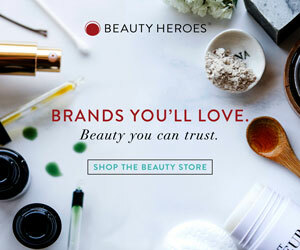 The Beauty Heroes link is an affiliate link, meaning that I earn a small percentage from subscriptions made using this link.